1889-1890, Oxford, Clarendon, vol.1, figure 65 page 129. Wow, a very interesting technique that really brings out the third dimension. Most impressive. Thank you for sharing this most interesting sketch by James Nasmyth. 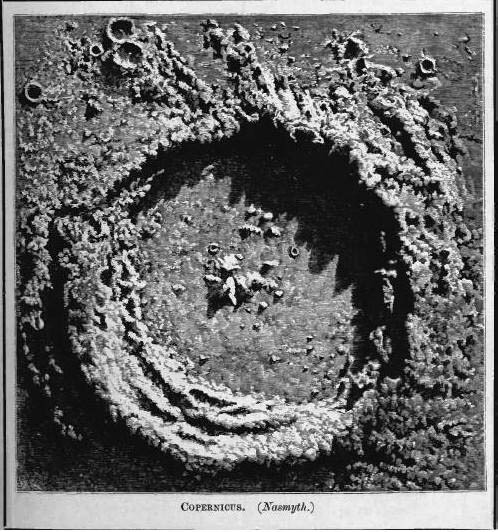 I find it intriguing that astronomers of old didn’t even consider the fact that Copernicus was an impact crater, and assumed it was a volcano.